A German man has been found dead in his Subic home, days after being stabbed to death by suspected thieves. Norbert Probst was found dead in his apartment on Friday (August 17) after a housekeeper smelled his rotting body. Inspector Joan Sibayan told the Zambales Herald Newsweekly that caretaker Marlyn Busante was cleaning the balcony of the apartments when she smelled a “decaying odour” coming from one of the doors. Busante opened the door and found the body of Mr Probst lying sprawled out on the floor. She immediately called the police. 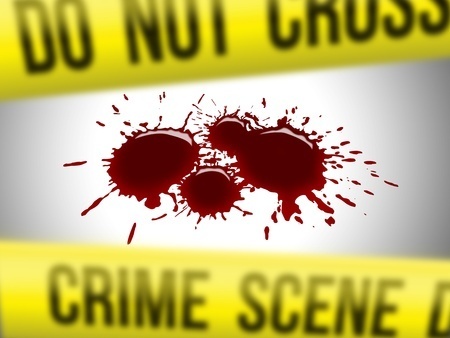 Olongapo City Crime lab officials examined the body and found multiple stab wounds. Subic police also noted that most of his valuables were missing. Acquaintances of Mr Probst have shared memories of the 52-year-old online. They say he was a popular figure among the expatriate community, and fond of playing pool and darts in local bars. Others have painted a picture of a kind-hearted individual who cared greatly for his pet dogs. Others, who describe themselves as personal friends, say he had recently returned from a trip to his native country, and may have been carrying a substantial amount of cash in euros. They add that people should contact police if they are asked to exchange the currency by strangers in the area. Disturbingly, another Facebook user has accused investigating police officers of stealing Mr Probst’s remaining belongings from his apartment. He wrote: “Do you know what the sad part about it? The police officers who examined the the body of this gentlemen get his big flat screen tv, electric bike, aircon, ref and his laptop they said they will use it to paid the doctor who will Autopsy his body, but I don’t think so! Investigations into the killing are continuing.